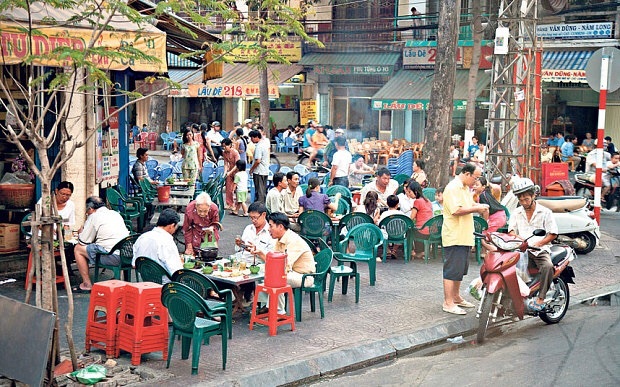 One of the things that seem to occupy every single part of Vietnam, whether you’re in the modern city of Saigon or in the rural landscape of Da Lat, is really tiny chairs. They range from miniature deck chairs to simple plastic stools and they’re everywhere from restaurants to the travel agents. But, where you’ll find them most is lined up on the pavements, just on the edge of the road. There, you’ll see hundreds of people sipping on coffee as they begin the ultimate caffeine-fueled stare-off with the coffee drinkers on the other side of the road. No, this isn’t a strange Vietnamese saying, it’s exactly what it sounds like. 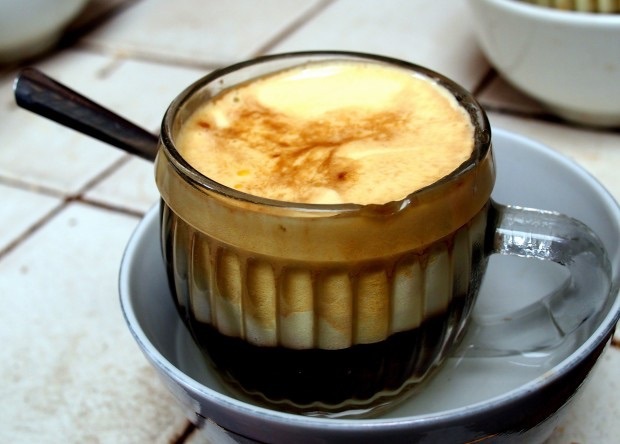 Egg coffee, or Cà phê Trứng, is a Vietnamese speciality that has been popular since the 1950’s when there was a brief dairy shortage. As unappealing as this delicacy sounds, it’s nothing like a protein shake from Rocky, it’s more like a sweet cappuccino with whipped egg whites instead of froth. Resist the urge to run from this drink and give it a go, it will definitely be a pleasant surprise! The majority of the time, cafes are eerily quiet and a great place to work, read or just get some peace and quiet. However, when the clocks strike 11, it becomes apparent why there are so many coffee shops in Vietnam. School children and office workers tend to have a break around this time and the coffee shops are suddenly flood with large groups of coffee sipping classmates and colleagues. This is definitely not the time to have a quiet drink, instead enjoy the animated local social life and culture. What this actually means is that the coffee beans are picked from the tree by hungry weasels, eaten, pooped out and then re-picked from the earth by farmers. 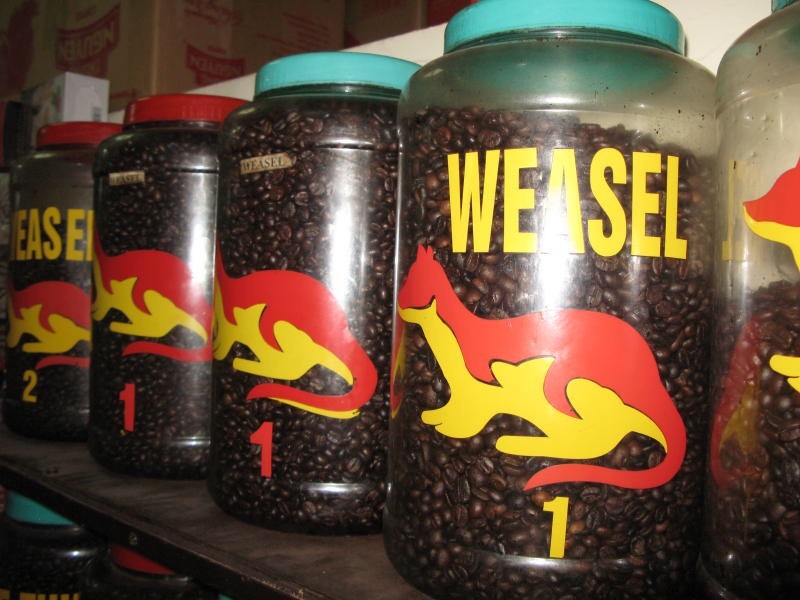 It’s universally agreed that any cuisine with the word ‘poop’ in is generally to be avoided but Kopi Luwak, as it’s officially called, is one of the few exceptions. It has a rich, creamy taste that you’ve really got to give the weasel’s credit for. However, if you don’t fancy your coffee pre-digested, there are plenty of other delicious options, from Robusta to Arabica and Catimor to Golden Luwak (whatever that is). 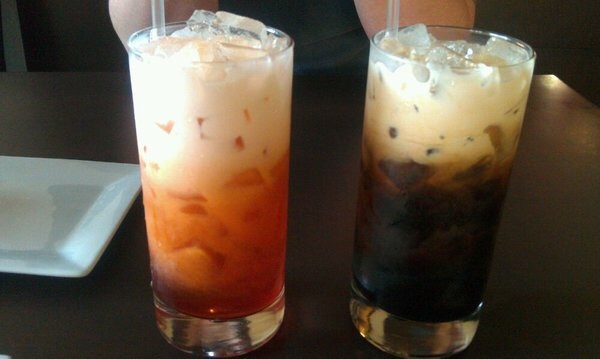 In Vietnam, iced coffee isn’t just a Starbucks thing. In fact, unless you explicitly request a hot drink, you are likely to get both your coffee and tea packed with crushed ice. You won’t find sachets of sugar on your table here, instead you’ll be given a small jug of condensed milk to sweeten your drink. Tourists often find this sickly at first but quickly started to enjoy the gooey, sweet delight. 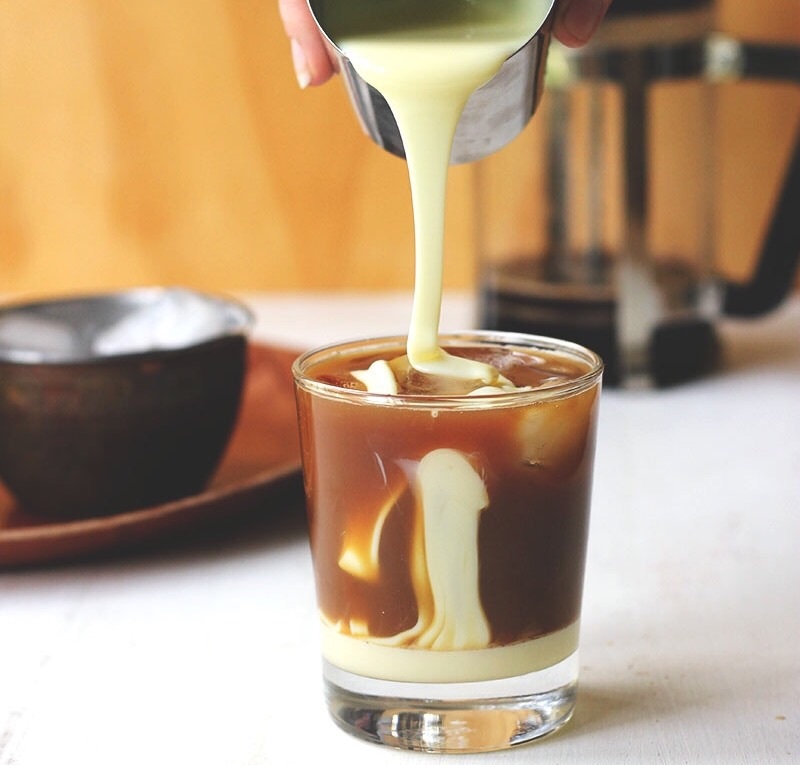 If that tickles your fancy then go all out and try coconut milk coffee and yoghurt coffee too – they’re divine! 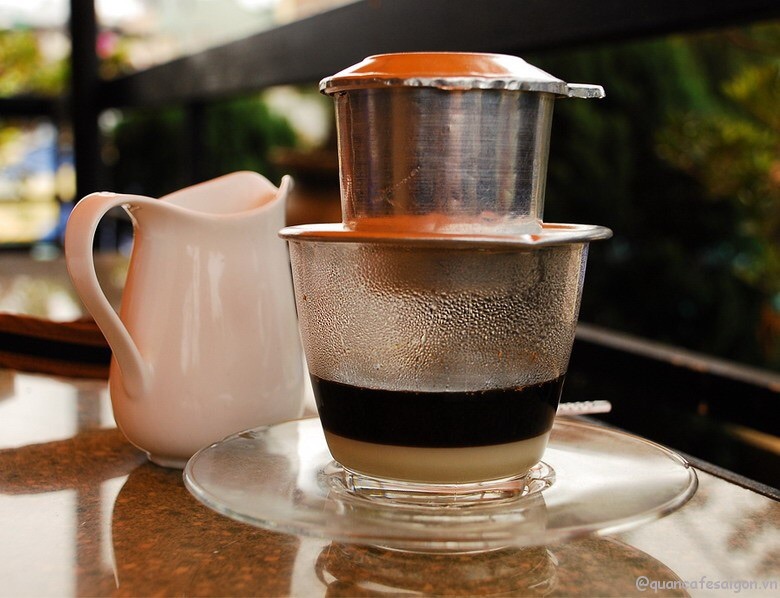 There are endless stylish coffee shops in Hanoi and Saigon, many with adorable, interesting and controversial themes. 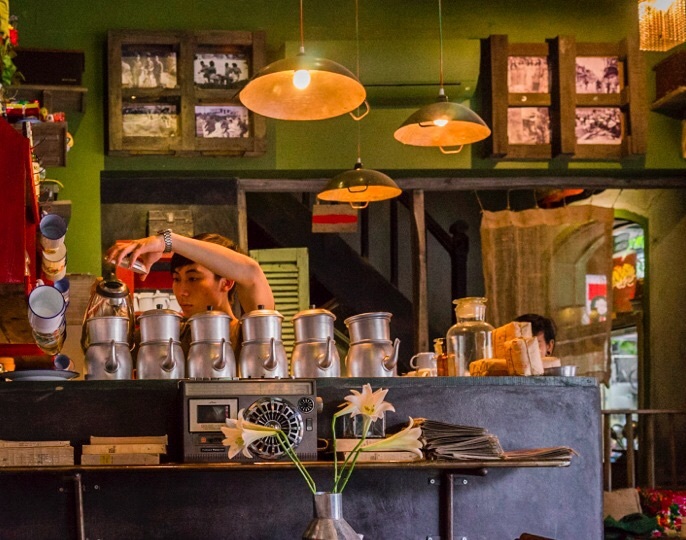 For example, the Hanoi-based café Tearanium is adorned with plants, foliage and terrariums. Whereas, Cong Caphe, a popular Vietnamese café chain, is decorated with Communist memorabilia as a nostalgic theme. 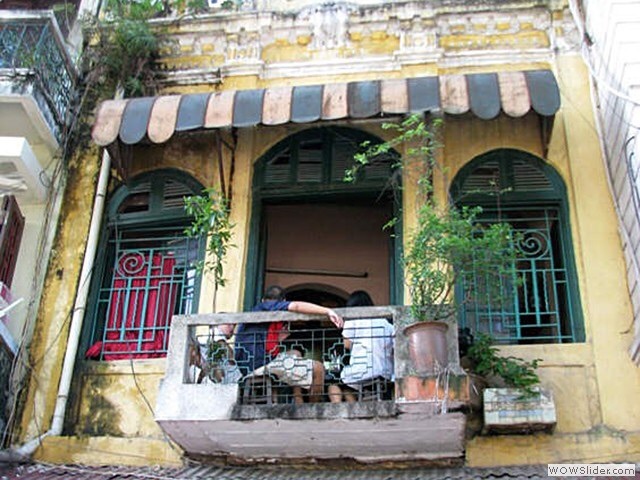 Many of the shops in Vietnam double up as the business owners’ homes. The long, thin buildings usually have a small shop front with a court yard and living quarters hidden behind it. However, there are many cafés that openly welcome you into their home. You’ll usually find yourself walking through a dark alley, dodging through hanging laundry and eventually entering a repurposed living room that happens to serve drinks. It can often feel as if you are encroaching on someone’s personal space at first but it won’t take long until you feel right at home. For those who aren’t big coffee fans, you won’t be left out. 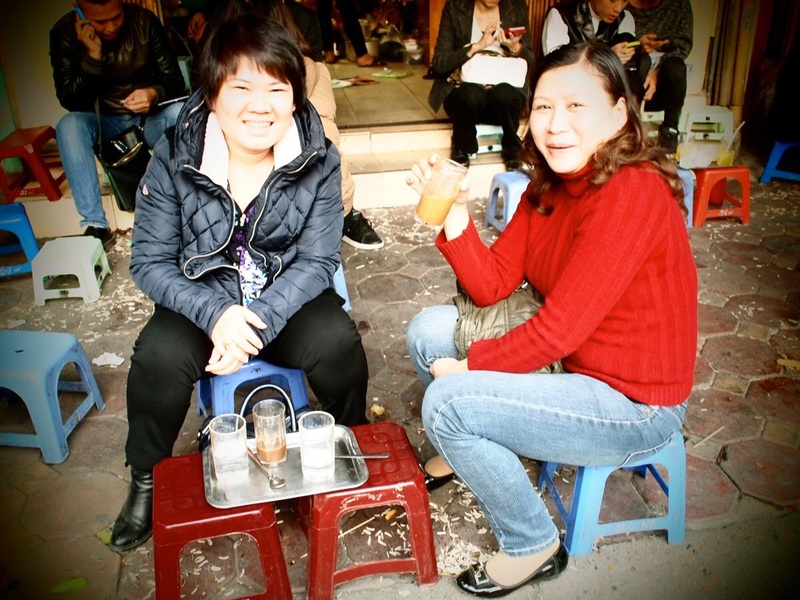 Tea is also hugely popular in Vietnam. 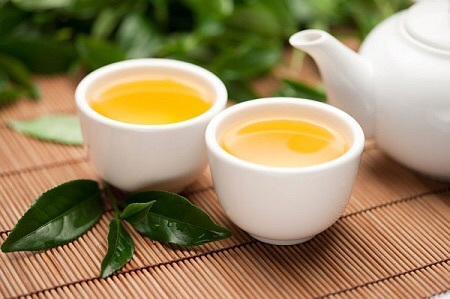 Many restaurants and cafés serve free Vietnamese tea and have an array of different flavoured tea leaves. Though, devoted tea drinkers will be challenged not to enjoy at least one kind of coffee by the end of their stay. What an interesting post. Loved it. With an egg on top?? Ewwww! No. 11. As takeaway.. I’m not a fan of the constant use of plastic though. But hey, it’s convenient to grab a coffee without hopping off your motorbike. Good one, thank you! I haven’t acutally tried takeaway coffee yet as I imagine I’d spill it all over my motorbike haha. But in the future I will try!